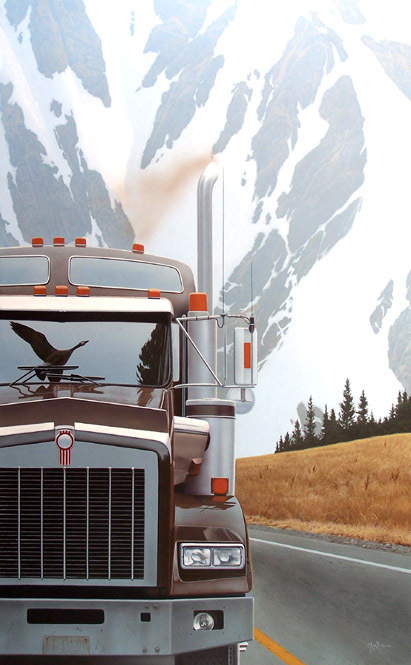 Christopher Walker is a Canadian contemporary realist painter whose subject matter reflects a distinct sense of the grand and the awe-inspiring as well as his wide ranging travels throughout many remote areas of Canada. 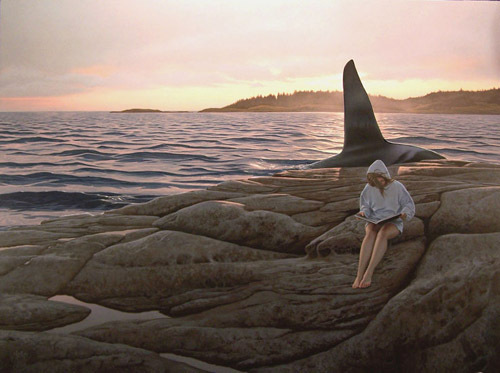 His style is evocative of the work of Alex Colville and Andrew Wyeth, among others. Walker’s artistry is truly stunning and beautiful! 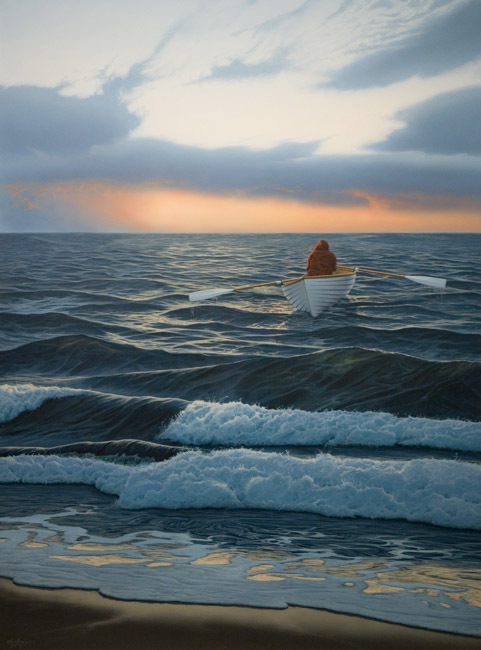 More of Walker’s gorgeous work can be seen at his website and at the White Rock Gallery site. Wonderful images. Thanks for introducing this Canadian to the painter! Those are beautiful, thanks for sharing them with us. Love these. Thanks for the post. Thank you, Brett, these are wonder-full ! Allison, the best to you! i’d love to buy a couple of those. I couldn’t begin to imagine what he’d want for them though. 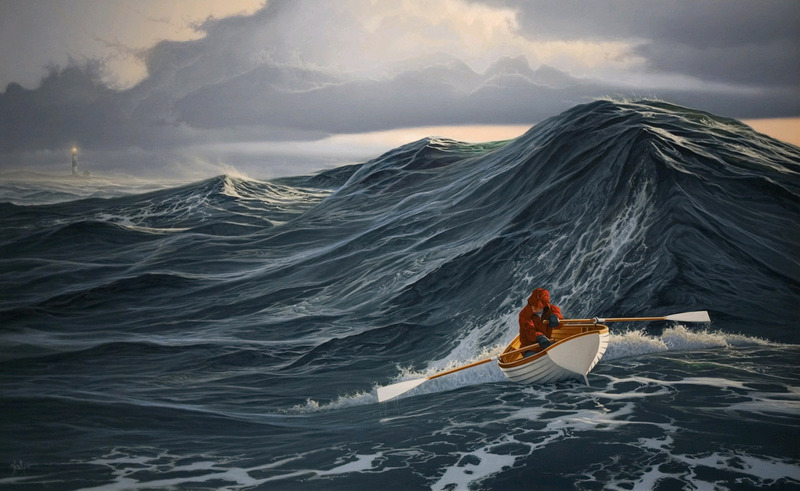 Amazing paintings. Thnaks for posting. I’m so glad you are there to introduce me more about Canada and Canadians, Brett. Great paintings. What an eye for depth and color…. This series is most interesting.Thank you ! So special! A couple of them remind me of my own travels across Canada. Thanks for sharing. Wow! Truly gorgeous! Thanks for sharing this amazing work with us. Really. I wanted to give this post 15 likes. Really gorgeous. The attention he pays to the very small details is really admirable too. Thanks for sharing these! They’re quite good pictures. I particularly like the vivacity of the colors. 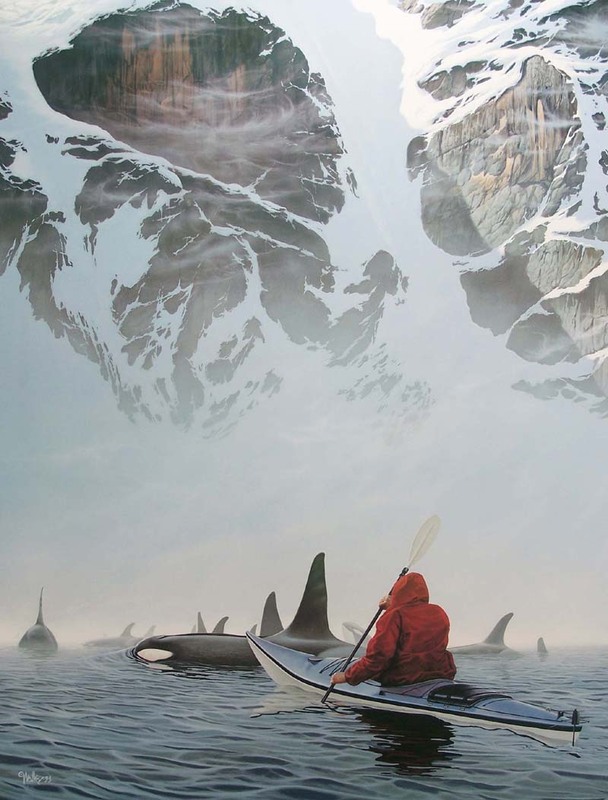 thanks for introducing me to a dramatic and engaging new view of Canada! Thanks for opening my eyes to this artist. I love his work! Atlanta? Wow!!! OK …LOVE the Canada shots, but isn’t there something in Atlanta you would want to feature? I would love to see shots from that city!!! BTW–Thanks for dropping by my blog! I actually go up to Vancouver, BC as much as possible. I love it up there and have met the most genuine people in my life. OH CANADA –how I love your people! Funny thing is I am from the south —. ARMY BRAT.. I went to Auburn University and lived in Alabama a number of years. I have been in Seattle now over 20 years though! Thank you for your thoughtful answer. Yes. It is a big change from the south ! It’s a beautiful place and it’s home now. I am a big fan of Chritopher Walker. 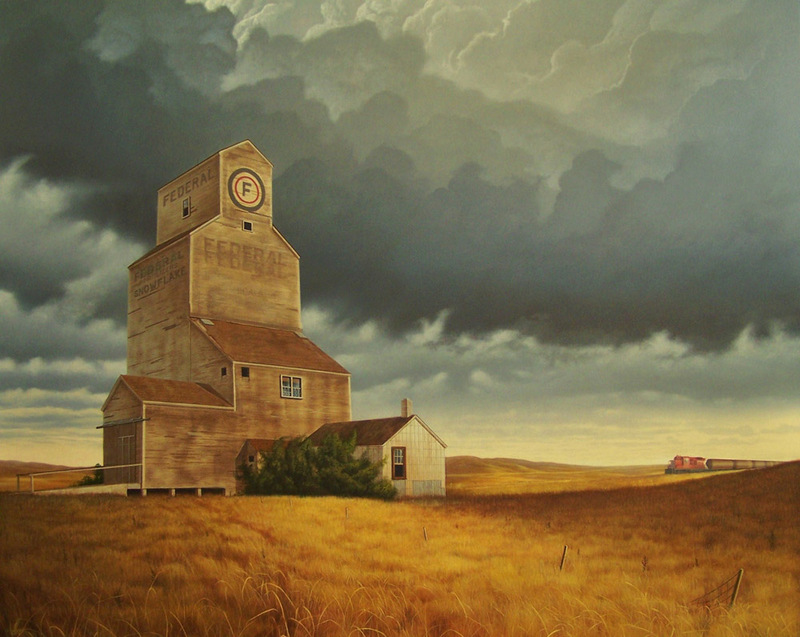 I have seen his art in Mayberry Fine Art in Winnipeg and the pictures do not do him justice. The depth of his colours truly bring his work to life. What a nice treat! As good as web images can be, they rarely do justice to the texture and colors of paintings viewed in person. Deborah, thanks! Walker is quite the talented artist! I m in awe! so beautiful, I’d cry! His art work is quite impressive! Your blog was brought to my attention from a collector of my work recently. Thank you for your enthusiasm and appreciation for my artwork. It is always nice to have objective compliments from afar. Thanks so much for your kind comment! Your art and artistry are amazing and, as you can see by the comments here, certainly strikes a receptive chord with many. Thanks for sharing your exceptional talent and enriching our lives with your art! Majestic work. Will look at artist’s other work. Thanks visit my blog. Aleya, very perceptive — I see that also! I’m not normally a fan of realist art, but these are stunning. Yes, his work is terrific! His work is beautiful! Thanks for sharing Brett! WOW! I live in Southern California where surf art is everywhere. 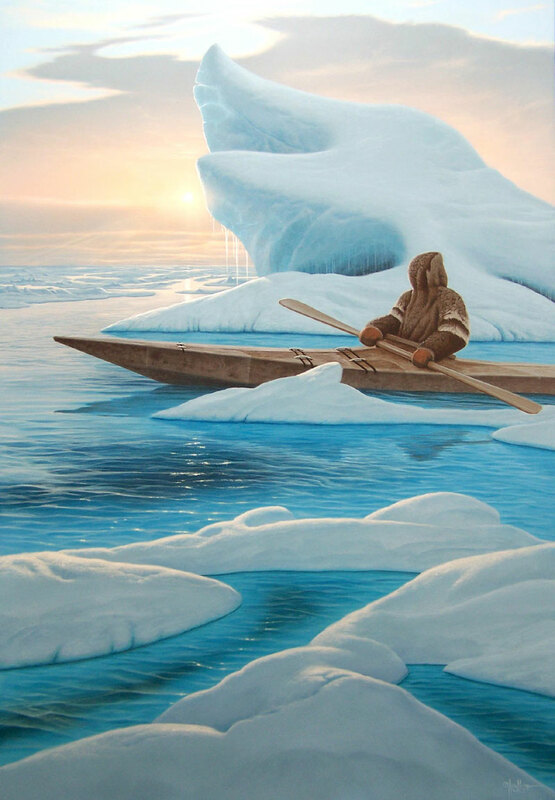 But this guy’s depiction of water wins out over everything else I’ve seen! He’s got that figured out! I find his work to ble contrived and gimmicky. His colours are great but the subject matter looks forced and cheesey, but art is definitely in the eyes of the beholder. I prefer more authentic and subtle landscape art. Canada has a few great ones.